Playing sports professionally often means that athletes are consistently pushing their bodies to become their very best, so they can play at the highest and most competitive level possible. While this can be highly beneficial for their overall health, playing collision sports comes with risks. This is true for more than just football, but sports like rugby, roller derby, ice hockey, lacrosse, and boxing. Of course, one particular injury has managed to stand out as a silent killer among the rest - concussions. 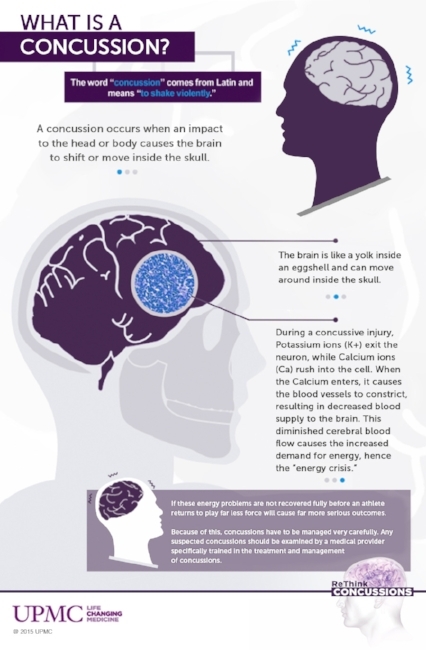 Concussions are traumatic brain injuries caused by a blow, bump, or jolt to the head or body, and they are exceptionally prevalent in collision and contact sports. An estimated 3.8 million people will get a concussion playing competitive sports every year (source). Disturbingly, 70 percent of all concussions from sports-related activities are made up of children and teens. Even worse, 5 in 10 concussions go unreported or undetected, with affected athletes continuing to play with severe brain injuries (source). We are only recently beginning to see the acute consequences of a sports culture that has previously overlooked or simply ignored these injuries. When speaking of concussions, the sport that usually comes to people’s minds is football. Being a high collision sport, it is no surprise that concussions among football players are extremely common. Research conducted by the Brain Injury Research Institute showed that concussions account for 65 – 95% of all deaths associated with play. At the high school and collegiate levels, 20% of players will sustain a brain injury at one point in their sports careers (source). At the professional levels, this topic has received a much-needed dose of publicity. After more than a decade of constant collision from tackling and taking hits at practices and games, former athletes are often found to have a condition called Chronic Traumatic Encephalopathy. Also known as CTE, this neurodegenerative disease is usually present in those who have been exposed to repeated head trauma. Symptoms from CTE include memory loss, confusion, impaired judgment, aggression, depression, anxiety, and sometimes suicidal behavior. A troubling study published in the medical journal JAMA found that 99% of deceased NFL players’ brains donated to scientific research had signs, a build of tau proteins in the brain, of CTE; brains of many college football players have also shown signs of CTE. Former Washington State quarterback Tyler Hilinski took his own life earlier this year, and an autopsy revealed the 21-year-old suffered from CTE. Unfortunately, suicide is a common occurrence for those suffering from the disease, as depression from CTE becomes so consuming, even in cases of those who showed no symptoms of depression prior to suffering multiple concussions. While researchers have found a way to detect symptoms of CTE before death, the disease often goes undiagnosed until after death. While we are still far from fully understanding CTE, it is clearly evident that there is a direct link between American Football and other collision sports, and this immensely harmful disease. So where do we go from here? There are several companies that are exploring new, more technical ways of protecting athletes. 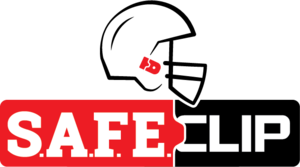 Mayfield Athletics has developed two products to increase football safety. One is a facemask clip (S.A.F.E.Clip) that works to absorb g-force impact, reducing the effects of blows and dispersing it throughout the helmet. The other is a face mask, Zuti Facemask, engineered to protect the players face with better shock and energy absorption. Along with advancements in impact reduction technology, and an increase in overall concussion awareness, prevention, and quick diagnosis protocols, we could see a much lower occurrence of concussions among athletes, and an overall safer platform for players to compete.